World-class education system and strong International reputation, Malaysia is an increasingly popular study destination for International Students. Malaysia has about 70,000 International students from more than 100 countries studying in International Schools, Colleges, Private Universities, Foreign universities branch campus and Public universities. The International students are enrolled in a wide range of disciplines at every level of education, including short-term and professional courses, diplomas, bachelor degree and other post-graduate studies such as master’s degrees right through to doctoral degrees. Exotic International is Student VISA consultancy firm for Malaysia which works for Malaysian Top Class University Admission, Arrangement of Malayan Scholarships and Student VISA service by grooming them for VISA application, VISA interview, presentation of other relevant documents in order to get a VISA and post departure facilities for the student by arranging Hostel/Dorm etc. We also provide the List of Scholarships, Grants, and Fellowships for International Students not only in Malaysia but also whole over the world. Thus, it is recognized as the Best Malaysia Student VISA Consultancy Firm in Bangladesh. Our integrity and enthusiastic triumphs which covers the field of Student VISA took us to the new horizon of reliability and responsibility. With authenticity, which is accompanied by accountability makes of the best Malaysian Student VISA agency/agent in Bangladesh. We are always welcome and happy to provide such assistance to anyone who needed help with their Overseas education/admission/Scholarships in Malaysia. Don’t hesitate to Contact us if you need assistance in finding the right school for you. Our friendly staff will be happy to assist you. Education System in Malaysia: Public universities (Government Universities) offers mainly bachelor degrees and postgraduate programs, with some offering programs at diploma level. Malaysian public universities are also offering Duel Degree program with their partner universities. Polytechnics and community colleges are offering certificate and diploma level programs. There are twenty public universities, 30 Polytechnics, 72 community Colleges. 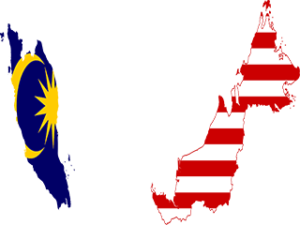 Some Privet universities and Foreign University Branch campuses are also stablished in Malaysia. APU, Monash, INTI International University and College, Taylor’s, Heriot-Watt, Newcastle, Curtin University of Technology, University of Nottingham, Swinburne University of Technology’s branch campuses are mentionable. Malaysia’s colleges and universities are very reasonable and highly affordable course fees, among the lowest in the region. This makes Malaysia a popular destination for good quality education at very competitive rates and cost-savings. The cost of living for international students in Malaysia for comfortable living is as low as RM10,000 – RM12,000 (USD3,200 – USD3,800) a year. This amount includes food, accommodations and transport. Students can choose between on-campus or off-campus accommodations: college hostels, apartments, link-houses and condominiums. This represents a great savings of living expenses. A contributing factor towards the low living cost is the Malaysian Ringgit is less expensive compare to other currencies from countries like the United Kingdom, USA and Australia. Friendly laws allow students to work while studying for their degree up to 20 hours per week during semester breaks or holidays. This will enable you to earn extra pocket money. International students can choose a comprehensive range of courses, programs and other study options offered by hundreds of Malaysia’s universities and colleges. Which offer a cost-saving route for quality education and qualifications from reputable international universities in the United Kingdom, USA, Australia, Canada, New Zealand and France. Science, Health & Medical Studies, Accounting & Finance, Business & Management Studies, Art & Design, Engineering Courses are available to study in Malaysia. English is the Medium of Instruction of private colleges and some government universities. It is also commonly used among Malaysians, making living and studying easy for students. Less proficient in the language, most colleges also offer English Proficiency classes. Picking up the language is easy because Malaysia offers an environment ideal for those who are interested to improve their command of English. Certified /Notarized copy of your valid passport. Certified /Notarized copies of all relevant degrees, diplomas, certificates and transcripts earned to date. Personal letter of motivation, stating your career objectives and the reasons behind your decision to apply (250 words). Two letters of recommendation from academic or professional sources. Two passport-size photographs. Taken against a light colored (white, off-white etc.) background. Clear and good quality and not framed or blocked, printed on normal photographic paper. Full face without sunglasses, hat or other head covering unless for cultural or religious reasons. ***Further documents may be asked to be provided as per the instructions of the authorities or for any changed circumstance. All students have to submit all original and two sets of notarized copies of the required documents.